Cheapflightsia.co.uk an internet search helper that will assist in finding the best cheapest business flights to Zurich, cheap holiday deals to Switzerland, excellent cheap hotel deals in the Swiss Alps and Basel, you will also find fantastic deals on cheap car hire in Zurich and excellent holiday rates on foreign currency exchange in Swiss Francs (CHF) the local currency in Switzerland. Cheapflightsia is a gateway that can help you find the cheapest international travel tickets to Zurich and Basel. 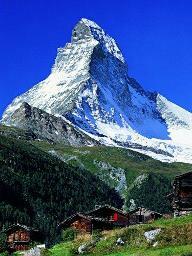 The search will find cheap flight deals to Switzerland. 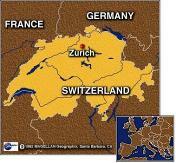 Zurich is a beautiful city, it’s the economic nerve center of Switzerland though its not the capital- Berne is! Its culture is great- history, arts and culture, opera, dance, music and architecture. The nightlife is great, good food and drink and you can also shop till you drop. There are some things I will like to share with you based on my experience from my 2 trips to Zurich. Zurich is a historic city, there are old buildings dating back to many years ago. Monuments to see and places to visit include: Fraumunster, Grossmunster, Landesmuseum, Kunstaus, the Red Silk Factory, Lindehof, Circus Museum, Saint Peter Skirche church, Lake Zurich and the Opera House (Opernhaus Zurich). You can also visit the Rhine Falls and/or the zoo. For music and dance lovers you should visit the Opera House. There are also open air film viewing or in the theatre. There are concerts at the Grossmunster from time to time. 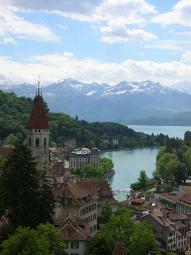 Getting into Zurich is not difficult-whether by bus, by air, by train. The public transport system is very effective and punctual so its advisable to take advantage of it to move around in Zurich. There are passes and discounts for tourists, which are money savers. If you can ride a bicycle well enough there are bikes and skateboards available for rent free of charge; there are dedicated lanes for bicycles but if you are not too good with riding a bicycle please stick to trains, trams, buses and lake steamers. Walking is another alternative which you can use (very enjoyable!). Accommodation is another issue that must be tackled before going to Zurich; there are all kinds of accommodation from hostels to low level to mid-level to high-level hotels and campsites though the camp sites are not open throughout the year. There are many festivals and events that take place in Zurich yearly, you can plan your visit to coordinate with the an event or festival: Theaterspektatel, Calinte Festival, Seschelauten, among others. The city is clean so shopping while strolling is a wonderful way to get around. There are many places to shop in; you can start with the world famous shopping street Bahnhofstrasse, even if you cant afford the prices, window shop! Niederdorf is another area to explore for more affordable shopping, try Schipfe and Shopville too. There are flea markets at Helviaplatz and Burkiplatz. You can also try the shops at the Zurich main train station (Haupfbahnhof). I discovered that shops in Zurich have odd opening hours, legal requirements stipulate shops cant be open beyond 8pm on weekdays and 5pm on Saturdays. Also many shops close for lunch. The flea market at Burkiplatz is open only on Saturdays from May to October. The tourist office will be glad to attend to you, even the police officers are polite and generally courteous; however you may be apprehended if you look suspicious and asked to show your papers. There are many places where you can eat- restaurants (low-range, mid-range and expensive), cafes, street stands and hotels. There is Swiss, Italian and Asian food, just search for the places. There are also joints where vegetarians can eat. You can also put together a picnic and eat out. The nightlife in Zurich is really great, there are so many joints, take your pick. I remember the last time I had an amazing night life experience and that was when we went out to a bar in Egypt, when we found our last deal searching for our cheap flights to Sharm el Sheikh.